I don’t like feeling drained of energy because I haven’t taken in enough nutrients, so I eat a small snack about every 2 hours. When I do go to lunch I end up eating some rice and picking around at the veggies and taking out the squid. Or taking out some bean sprouts or tofu or seaweed from the soup to mix with my rice. But…if I were a pescatarian again…my school lunch would be awesome! …hmmm (ﾟﾍﾟ)…maybe（￣ー￣). Its been fun as usual cooking at home. 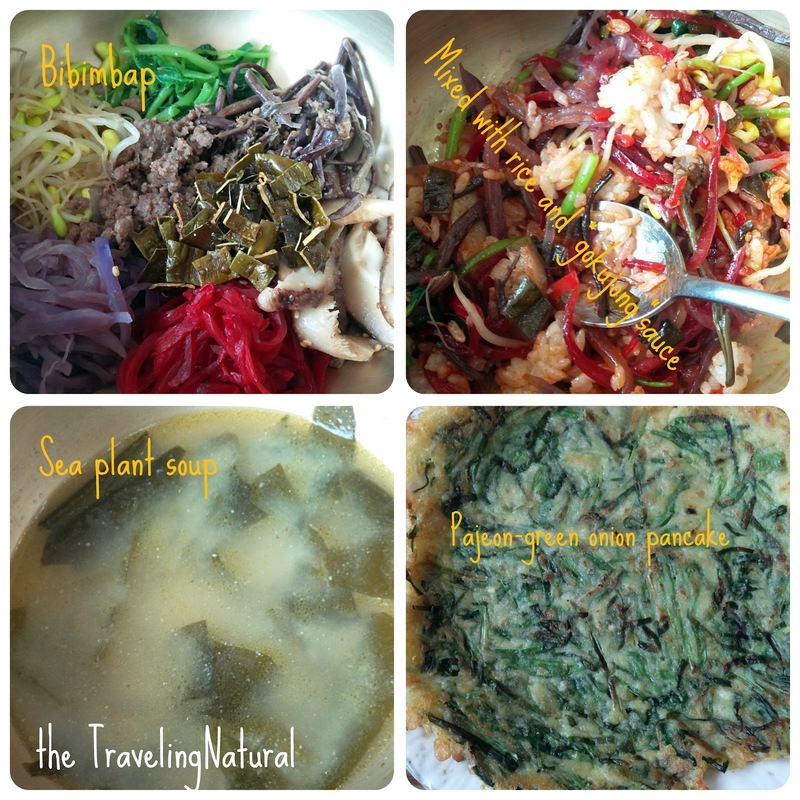 I’ve experimented with more Korean recipes. Korean cooking is so simple. 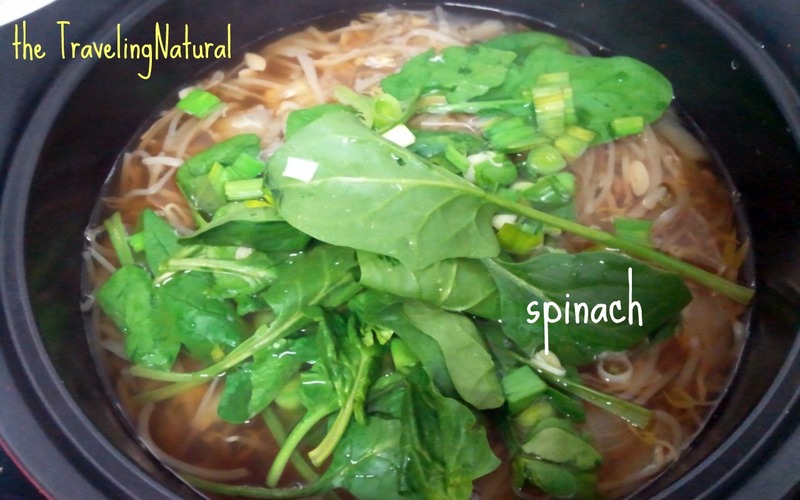 Well yes its pretty easy but the ingredients are really simple and natural. I was also sick last week (again I know!) and made some Kongnam chigae. Which is basically soybean soup. I added spinach because I had it and thought the dish needed more color. The most difficult part is still eating out with non veggie friends. Some of my friends are actually counting down the days to the end of this challenge. Its April 6th by the way 🙂 I realized that I hate having this self imposed label that limits my interactions (foodie interactions of course!) in society. I also hate having to explain being a vegan, and that no I can’t eat this or that blah blah blah. It would be cool to try this challenge in a vegan friendly country or city and compare my experiences. Loving Hut, the vegan restaurant here, has been a life saver! 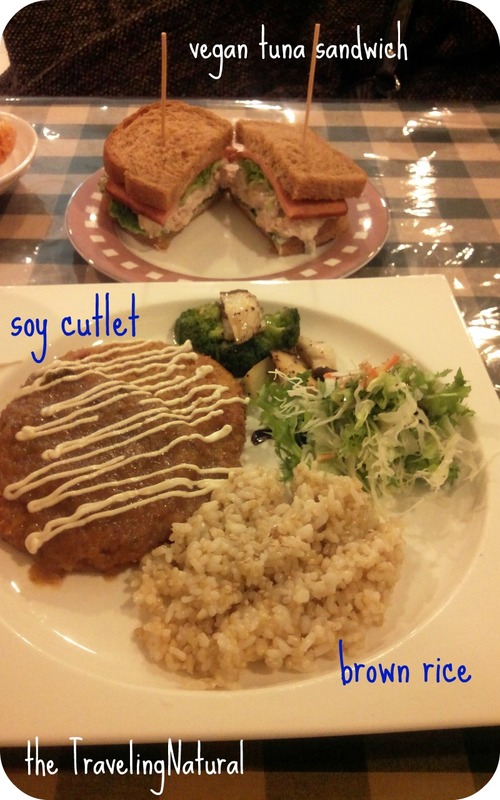 Here are some of my favorite meals there. Loving Hut in Haeundae beach area of Busan. I don’t know if the owner understood that fish is a kind of meat ha ha. I have lost a ton of weight. My clothes fit really loosely now. I am guessing maybe 6-8 lbs? I don’t have a scale. But I don’t need it. I have one pair of jeans in Korea (not really a jeans wearer) and they were pretty fitted last month. Not too tight or skinny jeans tight, but close. Now they are very roomy. Even when I pull the waist forward there is about an extra inch or 1.5 inches of space. My face is still breaking out. Its like my body is getting rid of waste in every way possible. And I will mention this because its important that my #2’s are very frequent. So if you change to a vegan diet you might notice this. But of course everyone is different. I found a ton of vegan recipe sites. But I haven’t tried anything from them. I did see a Mexican pizza that looked like it was worth a try. 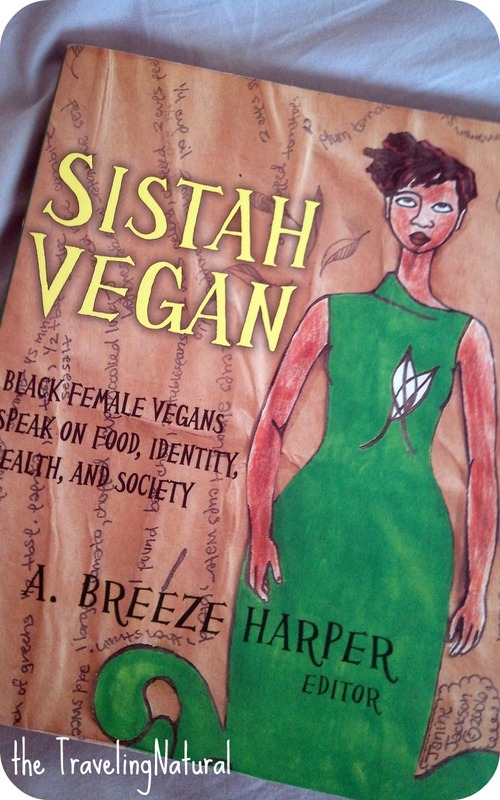 My friend let me borrow her book about women of color and veganism. I’m not finished yet but its pretty interesting thus far. We shall see! But I am very proud of myself for trying something new.